The mid-1980s were a tumultuous and violent time for traditional Italian organized crime in America as a whole, highlighted by major convictions of mob leaders around the country, bosses being murdered by their own underlings, and ongoing wars amongst certain regional mob factions. Often overlooked during this time period but right there in the thick of things nonetheless was the local Detroit mafia. Normally cited as a paragon of stability and non-violence, the organization went through its own period of unrest in 1985, when at least 9 people were executed by the mob in a span of less than six months. Experts attribute most of the killings to the mafia’s effort to control lucrative gambling and drug operations, specifically the wholesale suburban cocaine market and getting all their ducks in line in anticipation of future casino legalization within the city limits. Others were credited to the settling of old grudges and the “opening of the books” for membership into the crime family, creating opportunities for proposed members to “make their bones” by committing murder. For a crime family notorious for utilizing violence as only a last-resort measure, 1985 was the deadliest year in Detroit organized crime circles since the bloody Prohibition era. Despite the syndicate’s reputation for non-violence though, there are many who believe that might not be the most accurate categorization. Former U.S. Prosecutor and longtime member of the city’s federal organized crime task force Keith Corbett concurs. The mafia murder spree began in early April in the northern suburb of Sterling Heights. Located in Macomb County, Sterling Heights is not known for criminality. There’s a good reason. Starting in the late-1960s, many high-powered Motor City Mafioso relocated from Detroit proper into the peaceful upper middleclass suburb, a bedroom community roughly 25 miles outside the city limits. As a result, there was a ‘hands-off’ edict for most underworld activity in the area for fear it would bring unwanted heat from law enforcement on the newly-enshrined gangster suburbanites. On Tuesday April 4th, police found the bodies of Eugene Mancen, 32, Frederick Sanderson, 33 and Laverio Termine 52 in a business suite in a the Time-Reality Office Complex on Fourteen Mile Road. All three had been knocked unconscious and shot in the head by a .22 caliber gun. Police theorized that Mancen and Sanderson were operating a dual sports betting and drug dealing operation out of the building, while Termine, a nephew of local mobster Anthony “Terrible Tony” Teramine, just happened to be in the wrong place at the wrong time. He was only present in Mancen and Sanderson’s office at the time of the triple homicide to pick up gambling winnings from the previous evening’s NCAA mens basketball championship game between Georgetown and Villanova. Macomb County officials subsequently released information that Mancen had been threatened the week prior to his murder by Detroit mob associate, Paul Leggio, who physically assaulted him and demanded $200,000 in back street tax to the mafia in exchange for the right to operate. Leggio was a nefarious character that had grown up around organized crime and been immersed in its culture for his entire life. He was a bookie, drug dealer and alleged underworld partner of Robert “Bobby the Animal” La Puma, a well-known top enforcer for Anthony “Tony Jack” Giacalone, the Detroit mafia’s street boss, and his younger brother Vito “Billy Jack” Giacalone, a fellow captain and mob administrator. LaPuma was best friends and running buddies with Tony Giacalone’s ace protégé, Ronald “Hollywood Ronnie” Morelli. The pair made an intimidating tandem, parading around town flanked by an entourage of goons, filled with the likes of Leggio, and local mob figures Danny “The Trigger” Triglia and Augustino “Little Augie” Giordano. Led by Morelli and La Puma, the crew of young hoods made their presence immediately felt throughout the area’s racket landscape and in all of the most popular local nightlife hotspots, strong-arming past anybody who dare got in their way in either venue. Morelli, a notorious ladies man, worked his way up the latter from being Tony Jack’s driver to acting capo of his crew. Tony Jack took a liking to Morelli, who bore a striking resemblance to NFL star quarterback Joe Namath, at a young age because like himself, Hollywood Ronnie didn’t spawn from traditional Motor City mob royalty. By the 1970s, Morelli was put in charge of all loan sharking operations in the Metro Detroit area on behalf of the Giacalone brothers. The law finally caught up with Morelli and his pal Bobby the Animal in 1971 when they were both nailed on charges of extortion and illegal gambling in a pair of separate indictments that came down within four months of each other. Indicted alongside them on both charges was Sol “Good Looking Solly” Shindel, a well-known Detroit mob associate and gambling specialist. Shindel, the point man on all of the Giacalone brothers sports betting operations, was a frequent social companion of both Morelli and La Puma and ran his gambling empire from the Anchor Bar downtown. According to federal documents, Tony and Billy Giacalone brothers that Shindel, whose behavior had become increasingly erratic in the previous months, would turn government witness. Backing himself even further into the corner, in early-December 1971 he allegedly stole some money from the Giacalones and went on a gambling binge in Las Vegas, accompanied by Morelli and La Puma. Two days after returning from his trip to Sin City, Shindel was found murdered in his house in Southfield, shot in the face. As the investigation into Shindel’s homicide got on its way, Morelli and La Puma quickly became top suspects. The pair of enforcers would have their names arise in other federal murder investigations in the years to come as well. In 1972, their names surfaced in the George “Little Pete” Katranis murder investigation. Katranis, the son of longtime Greektown gangster and mob associate, Petros “Pete the Greek” Katranis, was alleged to have started freelancing in the loansharking and extortion business. Like with Shindel, Morelli and La Puma were close friends with Katranis and his brother Mike and suspected to have used their personal relationship with him to have possibly lured him to his death. When mob collector Tommy LaBerrie showed up dead in 1976, informants were again telling the authorities that Morelli and La Puma had something to do with it. And once again just like in The Giacalones’ go-to strong arm duo weren’t charged with any of the crimes, but had their reputations on the street enhanced by the mere innuendo and speculation. Going on to die of a heart attack in prison in September 1985, serving the final months of a conviction for racketeering, Morelli has a legacy that is still much talked about to this very day. La Puma wound up taking a drug arrest in 1987 alongside Leggio and serving time in federal prison before living briefly in Florida and then returning to Metro Detroit in the mid-2000s. Police believe that Paul Leggio contracted out the Sterling Heights triple homicide to La Puma and James “Red” Freeman, an associate and high-profile African-American gangster in the city’s underworld, who then brought in a hit team of Italian mobsters from St. Louis to help carry out the executions. Freeman himself had had an interesting criminal past. He had been acquitted in a previous triple murder in which two men and a woman were beheaded at a Detroit social club in 1979. Indicted with him in the 1979 beheadings was reputed intercity drug kingpin, Francis “Big Frank Nitti” Usher, a one-time lieutenant under the Giacalones while coming up through the ranks of the local underworld. While no one was ever arrested in the Sterling Heights murders of 1985, Paul Leggio was convicted in 1987 of witness tampering, obstruction of justice and firearms charges in unrelated cases. He eventually died in prison. Former Macomb County Prosecutor Carl Marlinga has long insisted that the contracted murder of Mancen and Sanderson was part of an effort by organized crime to control lucrative illegal betting operations before the possible legalization of casino gambling in Detroit and that it was also the motives for the murders of three other Detroit area bookies that same year. On a historical note, in 1993 Sterling Heights police arrested four individuals – John Finazzo, Freddie Andelmo, Michelle Urban and Carolyn Hojnacki – for running a gambling operation out of the same Time-Reality building that was the site of the 1985 murders. Hojancki was also arrested in the Wolverine Golf Club gambling case in 1992 that centered around the activities of reputed mob capo Jack “Fat Jackie” Lucido, and several members of his family, alleged to have been using the Macomb Township golf club as a headquarters for a city-wide gambling empire. 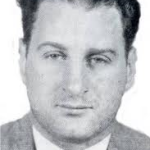 Fat Jackie Lucido, the son of longtime crime family lieutenant Salvatore “Sammy Lou” Lucido – who died April 9, 1985 –, and all of his co-defendants were eventually acquitted of the charges. One of the murders that prosecutor Marlinga and his Office linked to the Sterling Heights triple homicide case was the killing of Harold “Harry Mack” Maciarz on May 9th 1985. Maciarz, 56, was found dead in the trunk of his Mercury Grand Marquis on the eastside of Detroit. Police described the murder as a “professional hit” and Maciarz had been shot several times in the back. Authorities believed that both the Harry Mack hit and the Mancen, Sanderson and Teramine murders were committed by the Detroit mafia as a means of consolidating all illegal gambling going on in the area in the midst of casino gambling legislation being bandied about in the state senate. Mancen and Sanderson were bookies. Harry Mack was a policy boss, an integral cog in the mob’s numbers business. Back in 1982, Maciarz was busted as part of an $80,000,000 a year illegal lottery ring. The lucrative policy operation was being conducted under the auspice of Dominick “Fats” Corrado, the Detroit mob’s capo in charge of policy. At the time of his death Maciarz was known to be involved in illegal gambling and the investigation into Maciarz’s death showed that his gambling operation and the operation of Mancen and Sanderson dealt with common associates. Another murder that occurred in May that appeared to have connections to the Detroit mob was that of Colleen Smith of Clinton Township. Smith, 21, was last seen on May 18,, 1985 at a popular Macomb County nightspot. The following day she was found shot to death in an alley in Highland Park. While pushing for a grand jury to investigate unsolved crimes in Macomb County, Carl Marlinga and the Sterling Heights police issued statements that implicated local organized crime’s involvement in various entertainment hotspots around the county. Police also stated that it was believed that Smith’s murder was tied to narcotics and organized crime. Throughout the investigation into her death, informants told authorities that Smith had been involved in some sort of romantic relationship with Detroit mob enforcer Bernard “Bernie the Hammer” Marchesani, a grizzled mob vet who was on the run from the law at the time of the crime. Nine months later in early-1986 federal marshals apprehended Marchesani, 61 at the time as he stepped out of a Van Buren Township apartment. He had been a fugitive since not appearing at trial for his 1981 indictment on extortion charges alongside Detroit mafia underboss Anthony “Tony Z” Zerilli. During his arrest, Marchesani, at one time the man in charge of all loansharking in the area, was found in possession of $28,000 in cash, four handguns, a shotgun, and a bag of illegal narcotics. Although he was never charged with the crime, authorities questioned Bernie the Hammer regarding the Colleen Smith murder while in custody. Some close to the investigation believe Marchesani killed Smith in a lovers quarrel after Smith possibly threatened to reveal his whereabouts to the police. Pete Vassalo was a collector for Giacalone-backed loansharking operation in the 1960s, Vassalo was killed in 1972, his body found strangled and floating in the Detroit River, in retribution for the accidental murder of an indebted loansharking client that the mob deemed responsible for the subsequent arrests of Marchesani and the Giacalone brothers on loansharking charges. The most high-profile mob hit of that year, from that whole decade for that matter, was the July 1985 murder of longtime Detroit mafia lieutenant Peter “Fast Pete” Cavataio. As far back as 1963, Cavataio had been publicly identified in 1963 as a member of the Detroit organized crime family and had a lengthy criminal history dating back to the early-1950s. Fast Pete, nicknamed for his fast living lifestyle, was found dead, bound and shot several times in an abandoned garage on Harvey Street near the Ambassador Bridge on July 6th 1985. There was evidence that he had been tortured before he was finally killed by a .22 caliber weapon. Cavataio, who also went by the street handle “Pete the Baker” for the fact that he owned and operated a number of bakeries around the city and in Canada, had been a thorn in the mob’s side for quite a bit by the time he was done away with. It had not always been like that though. At one point in his younger days, Pete Cavataio was tabbed as an up and comer in local underworld circles and predicted by many inside and out the Family to be a future leader. He had all the right credentials, so it was really only natural. First, he was the son of Dominic Cavataio and the nephew of Julian Cavataio, two well-respected made members of the Detroit mob that had been heavy money earners for the syndicate since its earliest days. Then, in the long tradition of the city’s mafia, Fast Pete married within the crime family, wedding the daughter of powerful capo Pietro “Machine Gun Pete” Corrado and the granddaughter of Boss Joe Zerilli. From his marriage into the Corrado family, Cavataio became best friends with his brother-in-law Fats Corrado, who was named capo of his father’s crew when Machine Gun Pete died of a heart attack in 1957 and acted as his ace in the hole for many years. Finally, besides his father and uncle, Fast Pete came under the mentorship of powerful local mobsters Salvatore “Little Sammy” Finazzo ad Raffeale “Jimmy Q” Quasarano, significantly increasing his status as a future staple of the syndicate. Immediately after being pegged with the label of rising star in the Detroit mafia back in the late-50s, the reputation and expectations began going to his head. He was impulsive, reckless and defiant. He also developed a dangerous habit of having affairs on his mafia prince bride with other mobsters’ wives and girlfriends. Becoming the target of a federal drug probe didn’t help matters and neither did going into debt to more than one mob-sponsored bookmaker and refusing to pay what he owed. By the 1980s, Fast Pete Cavataio had gone from being viewed as a future captain to a certain liability and someone who needed to be dealt with. For the short term, Cavataio was able to use his close friendship with Fats Corrado to earn a free pass for his transgressions. But that would only last as long as Corrado lasted. And when Fats Corrado died of a heart attack on June 26, 1985, Cavataio’s time was up. The second Corrado stopped breathing was the same second the murder contract was issued on his life. Less than two weeks later, Fast Pete was dead. Cavataio is the last made member of the Detroit mafia to be executed. Several years later former Giacalone enforcer John Pree admitted his involvement, along with other members of the Giacalone crew, in the murder of Cavatio, which included stabbing him with a heated knife in order to get him to reveal the whereabouts of what the mob believed to be stolen monies. Pree, who was arrested for staging a series of home invasions in 1991 and 1992, later recanted his claim, but many law enforcement officials believe that Pree’s initial claims are valid and then his recantation was only a result of mafia intimidation and interference. Fast Pete’s murder would have ripple effects that were felt rather quickly. On September 16, the bodies of James Stabile, 58, his wife Camille, 56, and I.T. 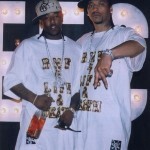 Hill, 55, were murdered in the Stabiles’ east side Detroit market. Stabile was a well-known bookmaker in the area that worked under the direction of and was good friends with Pete Cavataio. He even had been questioned after Cavataio’s murder. Besides his bookmaking activities, Stabile was also suspected of running a drug operation out of his market. Hill was an employee of the Stabiles’ who like Laverio Teramine a few months earlier, just happened to be in the wrong place at the wrong time. The Stabiles had both been shot and Hill had been repeatedly stabbed to death. The triple murder, the second in the area since the spring, caught the eye of organized crime followers due to Stabile’s connection to Cavataio. 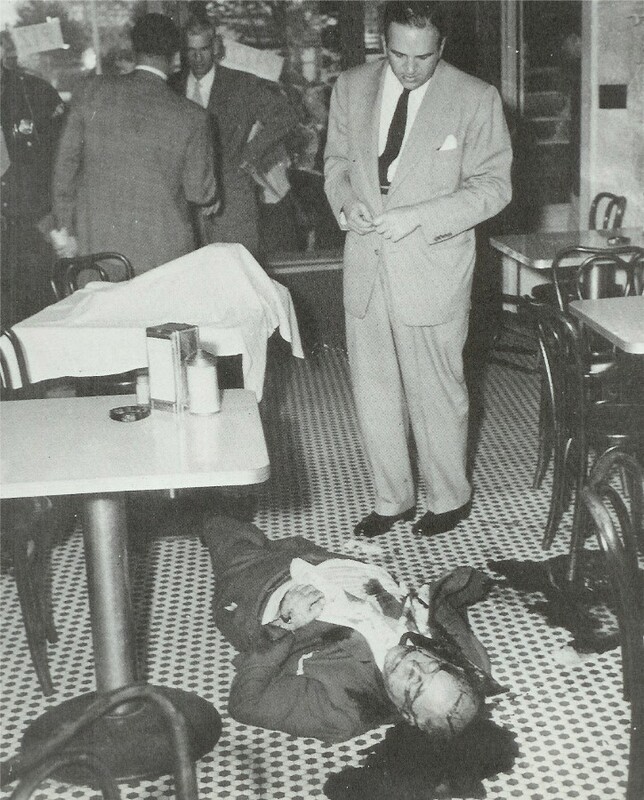 It became suspected amongst investigators that the killings were a result of the mob wanting to make a move on Cavataio’s business interests after his death and eliminate any remaining loyalists. Things in the case got even murkier when Gary Hobbs, a 35 year old local gambler was arrested and convicted for the crime. Hobbs admitted to the killings but claimed that they were the result of a gambling debt. This would fit with the police believing that it was not a professional job. Hobbs was issued a life prison sentence however, his motive and truthfulness still came into question by many involved in the case, including Marlinga and his Macomb County prosecutor’s office. In 1987, Marlinga told reporters that he believed that the triple murder in Sterling Heights in 1985 was linked to the killings of several bookies in Detroit that same year as a part of an effort by organized crime to take control of certain gambling and drug operations.